N Gage Consulting issued a report that offers the required business/regulatory intelligence for better visibility in doing business in Egypt. Egypt’s legislative and regulatory framework has been constantly labeled as a major deterrent to doing business. 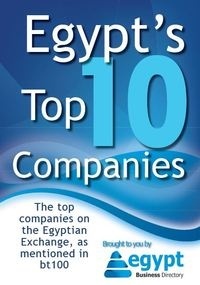 Often, legislations in Egypt are outdated, unclear and generally discouraging for investors. The lack of a modern and user-friendly access to new laws, regulations, decrees, and industry standards makes it difficult for businesses to remain compliant. N Gage Consulting report monitors key legislative and regulatory developments that have a significant impact on business. As an enterprise that lobbies for sustainable business regulations, N Gage Consulting provides its clients with the required business/regulatory intelligence to establish better visibility to commence or maintain sustainable business operations in Egypt. This report also discusses the role the upcoming Parliament will play in its early days, and the importance of the first two weeks of Parliament in approving all Presidential Decrees issued since May 2014.